Samsung might not have incorporated groundbreaking features in the Galaxy S9 and Galaxy S9 Plus, with its Galaxy Note 9 expected to come with hardly any changes when compared to the Note 8, all eyes will be waiting to see the foldable smartphone that we’ve heard about for so many years now. Now, according to the latest information, the company is going to start mass production of the unique handset very soon. ETNews (via MyDrivers) believes that Samsung has something major up its sleeve and is gearing up for a big move. The final result will be the much awaited foldable smartphone. The source has reported that the South Korean giant is getting ready for the mass production of foldable OLED displays. 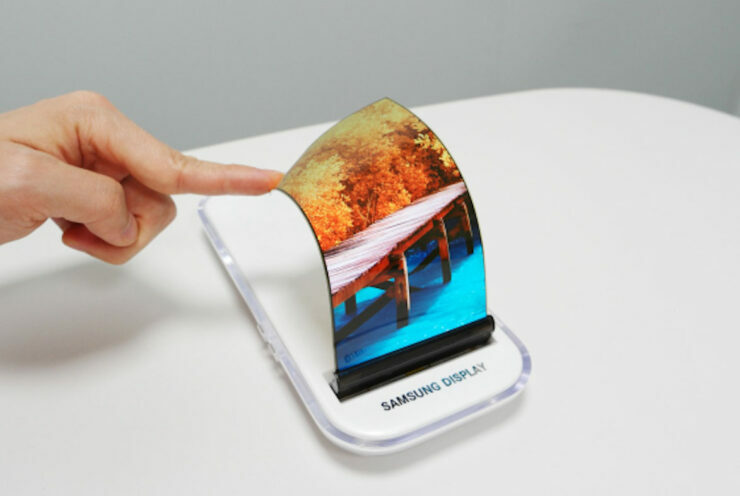 Samsung has even built a pilot production line to make flexible folding OLED displays in Asan, South Korea. This indicates that the company is indeed ready to commercialize this idea. Once Samsung is satisfied with the trial production, it will start mass production and this is expected to happen by the end of the year. Samsung reportedly plans to manufacture 1 million OLED foldable panels which will be used for devices with foldable screen early next year. The foldable smartphone in question is expected to be 7 to 8 inches when unfolded though the source claims that is still undecided about the point where the display will fold. Samsung was apparently considering a 50/50 folding solution previously but could not go through it. This approach posed a problem as the area of view available to the user after bending would end up being really small when navigating. For instance, only 4 inches will be left when an 8-inch screen is folded. So, Samsung is considering leaving a visible area of nearly 5.3 inches after the device has been folded, giving users a lot of screen real estate in return when using the smartphone. 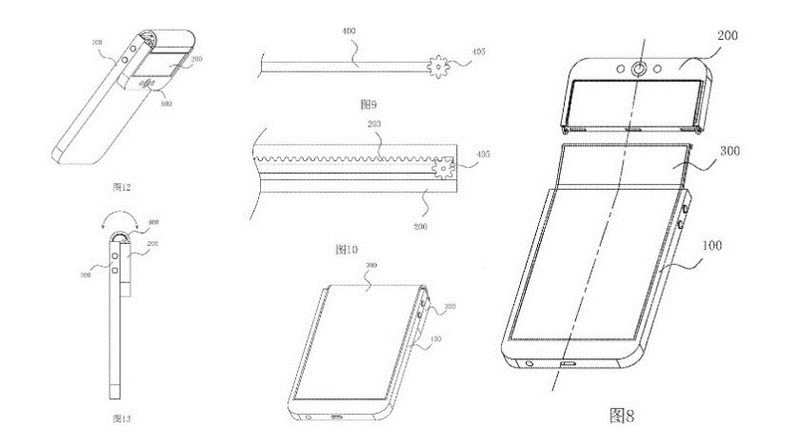 While we are on the topic of irregular folds, it is worth mentioning that OPPO had submitted a similar patent previously and we can imagine what Samsung’s phone will look like based on that patent. However, a previous report that Samsung is looking to charge an unrealistic price of $1,850 for the smartphone, so let us hope that the aforementioned price tag does not end up being true.